It has been a very long time since I last posted here on Simply. Here is an important update of a very valuable addition to my Discus room. 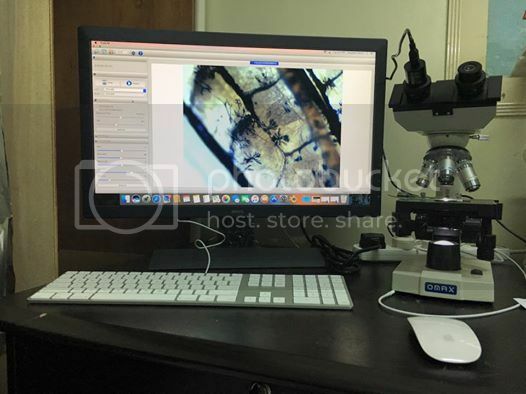 I purchased a microscope with a digital camera. Two of my fish were wasting away (wild and domestic) and I could not tell wats wrong and no med did the trick to bring them back. Or maybe they were already past retrieval. So I bought the microscope to diagnose the disease and make sure I eliminate it before it spreads. This is an excellent addition to anyone who has many discus tanks like me, and would like to know for certain what is the problem when there is one. At least I confirmed that my fish were free of capilaria sp. which was my main suspect. I already have some pictures of my findings and will update the post later to show it.